← The Financial Impact of Consumerization – BYOD boosts productivity. One of the most interesting effects of the research has been its ability to dispel some common myths around BYOD and prove empirically that, at least for the respondents questioned, IT consumerization leads to cost increases in various key areas. These include: helpdesk, software licensing, mobile security, mobile device management and regulatory compliance. 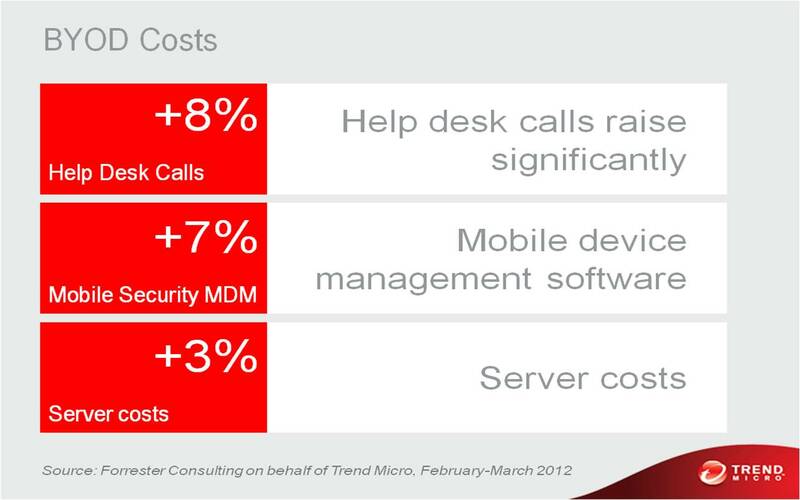 Helpdesk is an area where some may expect costs to fall, given that employees are using their own devices, but T1 and T2/3 call costs increased for 60% and 50% of respondents respectively. 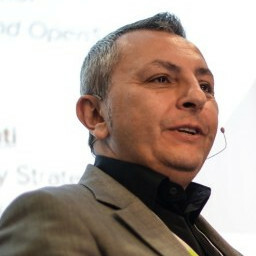 The reality, as articulated by these stats, is that consumer tech companies and mobile operators cannot simply deal with the kind of helpdesk inquiries that most corporate staff will need answering, so the problems boomerang back to the corporate helpdesk, except this time the number of devices and operating systems they have to deal with has snowballed. Similarly, licensing costs for employee-owned laptops or home desktops could be expected to fall. However, the research showed costs increased for more people (48%) than it decreased. The key here is to understand that companies are effectively complicit in fraud if they allow their staff to use software applications licensed for home-use for work related purposes – another important note for risk adverse IT managers. Nor can IT wash its hands of expenses associated with compliance, security and mobile device management, the research found. Security in particular was singled out by respondents as the biggest challenge of BYOD, with 63% saying associated costs increased. The caveat to the research of course is that not all respondents have been adept at measuring the impacts of consumerization effectively, as I discussed in a previous blog, but this is the first report of its kind and hopefully things will improve. Nonetheless it’s a start, and the research should give IT leaders some valuable actionable information and recommendations to help them begin measuring and improving programs. At the same time, the research unequivocally points out that Consumerization does bring in real business value. My advice for organizations facing an increasingly consumerized IT world is to realize that Consumerization is happening and they can’t stop it – and in fact they shouldn’t. Embrace consumerization is the optimal approach: create a plan that spans the whole organization, say yes but not for everything to everyone and put the right new infrastructure in place to secure and manage consumer-grade technology in the enterprise. Rather than resist it, organizations should embrace Consumerization to unlock its business potential. NEXT Does BYOD make business sense? PREVIOUS It’s official: BYOD boosts productivity – but not for all.